My story takes you through my recovery from addiction and the effects of living with it. But it didn’t start out that way. I began it several years ago solely as a story about my daughter’s drug addiction. And as I got deeper into the writing of it I realized that there was much more of a story to tell, and that that story began with me in my childhood. Ironically it was my daughter Angie whose disease brought me to a place of wellness and peace in my life. 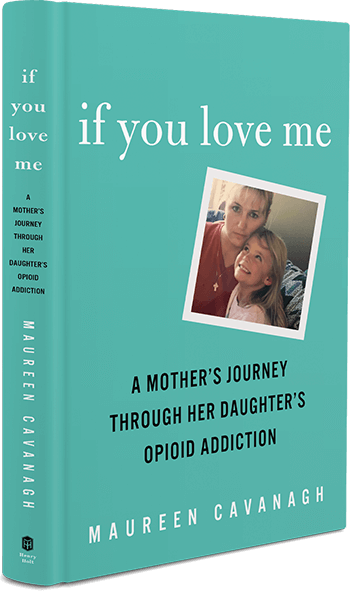 All the ugliness of behavior and spirit that often goes with unbridled addiction is documented in the book, as addiction is a monster that takes few prisoners. Yet Angie was a beautiful young woman with her whole life ahead of her before addiction seduced her. Her tapestry described in the book reminds us that beauty is often born out of loss. This is a story about my recovery in the face of all this heartbreak. How I’ve been able to accomplish this is a testimony to the power of spiritual transformation. And so, paralleling the roller coaster ride of her illness, I share with the reader throughout the book my evolving recovery and my journey toward serenity. This journey has freed my children from the same oppression that held me hostage growing up. Many people who have suffered through the darkness of addiction are consumed by despair. But as I continue to grow and change, my loved ones are the beneficiaries. Perhaps some elements of my story will resonate with you as well. This entry was posted in Uncategorized and tagged addiction, grief, Heroin, hope, overdose, recovery, rehabs, stigma, substance abuse. Bookmark the permalink.